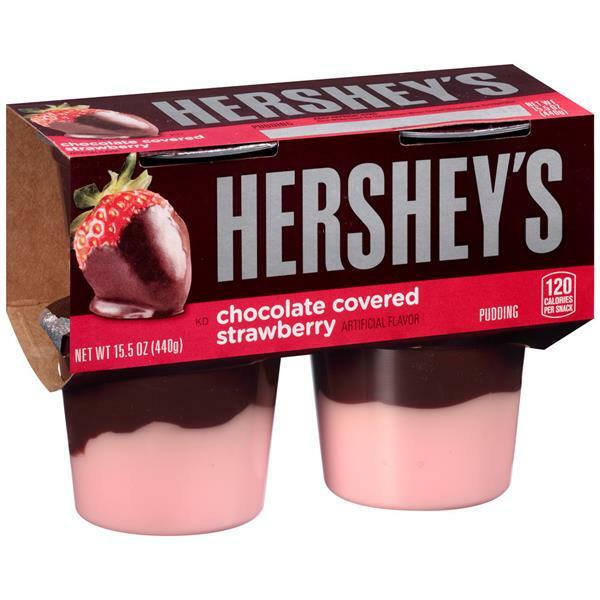 Enjoy the great taste of Hershey's in a pudding cup! 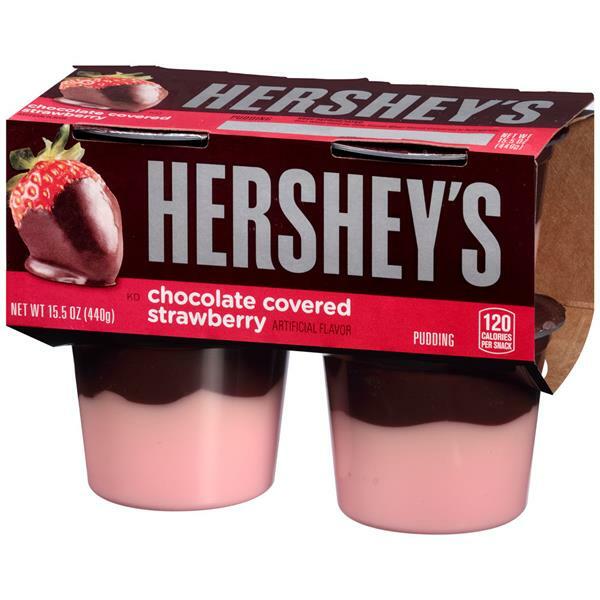 Filling: Skim Milk, Water, Sugar, Modified Food Starch, Contains Less than 2% of Hydrogenated Vegetable Oil (Coconut and Palm Kernel Oils), Cornstarch, Salt, Sodium Stearoyl Lactylate (for Smooth Texture), Calcium Phosphate, Artificial Color, Sodium Alginate, Natural and Artificial Flavor, Red 40, Vitamin A Palmitate, Vitamin D3. 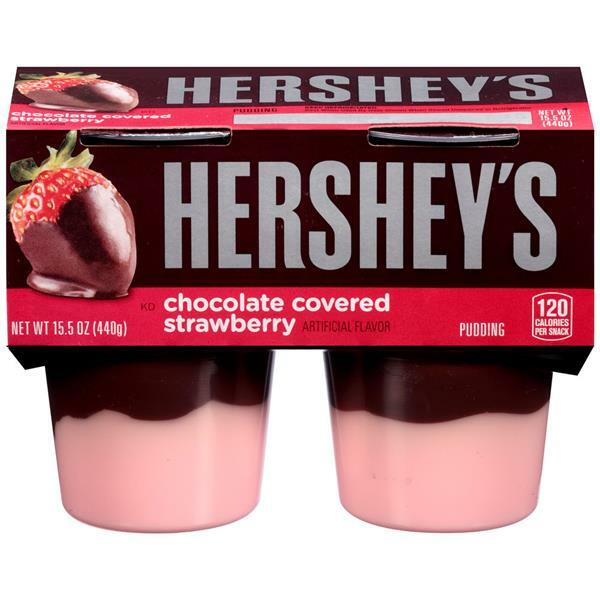 Topping: Skim Milk, Water, Sugar, Cream, Modified Food Starch, Cocoa Processed with Alkali, Contains Less than 2% of Gelatin, Salt, Sodium Stearoyl Lactylate (for Smooth Texture), Natural and Artificial Flavor, Vitamin A Palmitate, Vitamin D3. CONTAINS MILK. Buy 1 get 1 free select Hormel Entrees, must add 2 to cart. Valid if delivered or p/u by 4/30.